Прежде всего установим необходимые пакеты, это tftpd-hpa для создания TFTP сервера и apt-cacher-ng для организации локального кэша пакетов, чтобы их не приходилось каждый раз скачивать из сети. See the previously-mentioned OpenBSD router tutorial for more information. The «filename» and «next-server» lines are the important parts here. The «filename» line tells it the name of the file to boot from over TFTP. In this case, we're going to be using a symlink to «pxeboot» called «auto_install» for booting. The «next-server» line tells it the address of our webserver, from which we'll fetch the installation instructions and [urlspan]sets[/urlspan]. Be sure to restart dhcpd after making changes. Now we'll set up [urlspan]tfpd[/urlspan] to serve the initial files for PXE booting. It listens on UDP port 69 [urlspan]by default[/urlspan], so be sure [urlspan]your firewall[/urlspan] allows that for the LAN. In the directory we just made, we'll want to have two files: bsd and auto_install. In my case, I symlinked auto_install from the [urlspan]pxeboot file[/urlspan] and renamed[urlspan]bsd.rd[/urlspan] to bsd. Get the two files from [urlspan]FTP[/urlspan], installation [urlspan]media[/urlspan] or [urlspan]create them[/urlspan] yourself. If you need any non-standard options, you'll also need a [urlspan]/tftp/etc/boot.conf[/urlspan] file. If you want to install over serial, for example, you'll need some special options for that. Next we set up a webserver. To keep things simple, I'm just going to use OpenBSD's [urlspan]built-in nginx[/urlspan]. Anything will work. We need to put the sets in /var/www/htdocs, but adhere to the standard OpenBSD release directory structure. Replace «5.5» and «i386» with whatever version and architecture you're going to be using. Be sure you have all of those files and that the «index.txt» matches. Start up the web server once everything is in place. com0: changing speed to 115200 baud in 5 seconds, change your terminal to match! 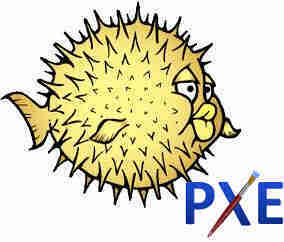 Welcome to the OpenBSD/amd64 5.4 installation program. (I)nstall, (U)pgrade, (A)utoinstall or (S)hell? bound to 10.0.2.15 -- renewal in 43200 seconds. Available network interfaces are: em0 em1 vlan0. Issuing hostname-associated DHCP request for em0. Available speeds are: 9600 19200 38400 57600 115200. Available disks are: wd0 wd1. Saving configuration files...Making all device nodes...done. CONGRATULATIONS! Your OpenBSD install has been successfully completed! To boot the new system, enter 'reboot' at the command prompt. Didn't even need to touch a keyboard! Вещание видеофайлов с помощью VLC multicast. С теорией. Запросов 57, за 0,114 секунды.